Would You Consider Purchasing a Set of Wheels from Roin in 18 Inch Diameter? Roin says they can manufacture replicas of the OEM Campagnolo wheels in 18 inch diameter "IF" there is interest in this size. So … what better way to determine interest than to do a survey. Roin wheels are CNC machined from a solid billet of aluminum, offering the strength of one piece billet construction, and the capability to vary wheel width and offset per customer application. The intention of this survey is to display to Roin that there is indeed interest in this size of wheel, thus providing the motivation for them to do the design work necessary before an 18 inch wheel can be produced on their CNC machine. Their current 15 inch wheels are authentic reproductions of the OEM design, and their 17 inch wheels were re-sized in an aesthetically pleasing manner. I have confidence that the 18 inch wheel shall be re-sized similarly. Roin says their supplier does not offer billets for wheels larger than 18 inches, so 18 inches is their current limit. If you may be interested in a set of Roin Campagnolo replica wheels in 18 inch diameter please select at least two boxes, one front wheel size and one rear wheel size. You may select as many boxes as apply, you are not limited to two. The survey is anonymous. 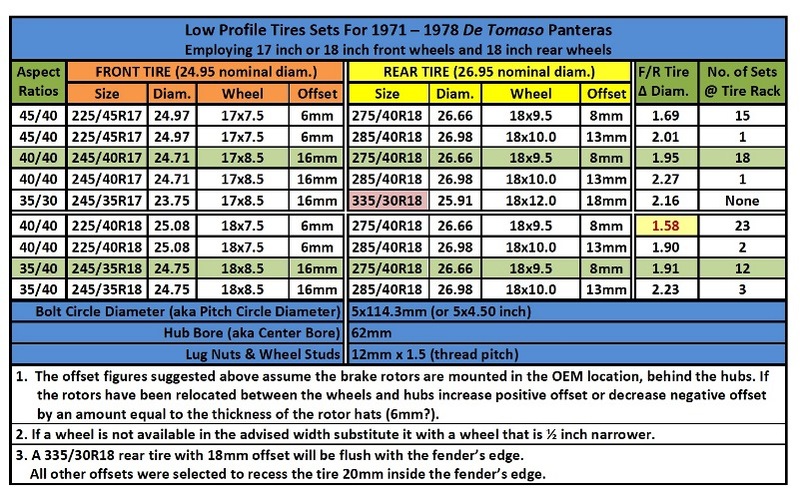 The table below will give you an idea of your choices in tire sizes and their availability. Yes I would be interested in Roin's wheels, 17 inch front for a 225mm tire. Yes I would be interested in Roin's wheels, 17 inch front for a 245mm tire. Yes I would be interested in Roin's wheels, 18 inch front for a 225mm tire. Yes I would be interested in Roin's wheels, 18 inch front for a 245mm tire. Yes I would be interested in Roin's wheels, 18 inch rear for a 275mm tire. Yes I would be interested in Roin's wheels, 18 inch rear for a 285mm tire. Yes I would be interested in Roin's wheels, 18 inch rear for a 335mm tire.